Offering sweeping views of the valley and Mount Kanchenjunga, Hotel Broadway (Annexe) is a 10-minute walk to the city centre. It features a restaurant and free parking on site. Rooms feature wooden furnishings, vibrant fabrics and large windows that provide natural light. They are well equipped with a fan, TV and seating area. Shower facilities are available in the bathroom. The restaurant serves a spread of local and Chinese dishes. In-room dining is possible with room service. Staff at the tour desk can assist with ticketing and car rental services. Newspapers and safety deposit boxes are available at the 24-hour reception. 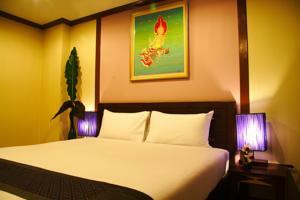 Broadway Hotel is 5 km from the Tea Garden and 6 km from the Rock Garden. Tiger Hill is 14 km away. Free! All children under 5 years stay free of charge when using existing beds. 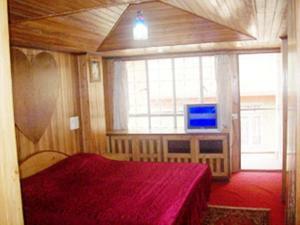 One older child or adult is charged INR 300 per person per night in an extra bed. The maximum number of extra beds in a room is 1. There is no capacity for cots in the room. Any type of extra bed or crib is upon request and needs to be confirmed by management. Additional fees are not calculated automatically in the total cost and will have to be paid for separately during your stay.